Why rodents are such a big problem. When the weather gets cold, people aren’t the only ones that are affected by it. Many rodents take shelter in our homes to get out of the cold, but if you aren’t careful, those rodents could damage your electrical system and may even start a fire. Rodents have an incredibly sharp pair of incisors that grow constantly, and they need to chew on things to keep their teeth filed down. Unfortunately, a common target is insulated wiring. If a rat chews through the insulated wiring in your home, it could lead to power outages, blown breakers, damaged circuits and even an electrical fire. 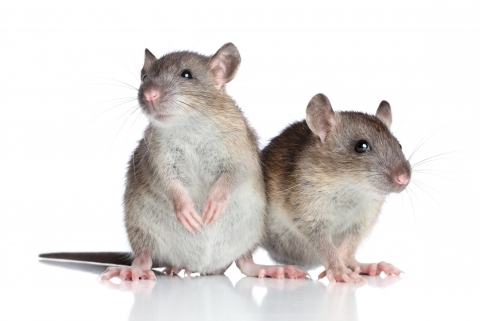 How can you tell if rodents are causing electrical problems in your home? The wires throughout your home are covered with plastic insulation, which protects the surrounding materials and walls from heat. Rodents will often chew through this insulation, or they may even build a nest around the wire clusters. Rodents tend to be small and very sneaky, so you aren’t likely to actually catch them chewing on your wires. However, if you take the time to inspect your wires, you will be able to tell if the insulation has been chewed on. Damaged wires can easily cause an electrical fire, so if you do find damaged wires in your home, make sure that you get them replaced immediately. Now that know why rodents are such a big problem and how to tell if rodents are causing electrical problems in your home, it’s time to learn about how to prevent rodent damage. Please stay tuned for our Cincinnati electrician’s next blog to learn more.